Gardner definitely made this bag with durability in mind when you take a closer look at the double stitching – nothing is going to rip or break soon on this baby. The Specialist Rucksack also comes with a resin injected waterproof base for extra protection and a lot of versatile straps. The back strap comes with an unique adjustable sliding chest strap, that will fit you comfortably for those stalking sessions. Velcro secures the unhooking mat and the bag is fitted with a useful, strong handle to carry your rucksack over short distances. The bag is made from durable materials, and if you look after it properly, it could actually last you a lifetime. Therefore, a 5/5. This bag has one large, main storage compartment and two side pockets with drainage holes in one to accommodate wet items such as your carp sack. The large front section comes with elasticated loops and is perfectly suitable for small bits and bobs. A free medium sized Flip Top Box is also included. The top section of this bag is thermally insulated and capable of carrying up to 5kg of frozen boilies. Space certainly isn’t worth worrying about. I managed to pack plenty of gear in the main compartment and lunch in the thermo bag with ease. Anything from banksticks, end tackle boxes, reels and a sweater will fit into the main compartment. Because of this comfort, it scores a 4/5 for practicality. Regardless of your style, this beauty strapped on to your back will look good next to any water, whether you are walking and stalking, or only carrying it from your trailer to your tent, you will look good and feel comfortable. 4/5 for making you look like the real tart that you are. Looking at import costs and the Rand value, it sometimes feel like things are over-priced at local tackle shops, but where else will we find these quality products we seek? The bag was purchased from Henkor for R799.95 which might seem a bit steep, but Gardner claims it will last you a lifetime. I trust this brand and scored it 3/5. 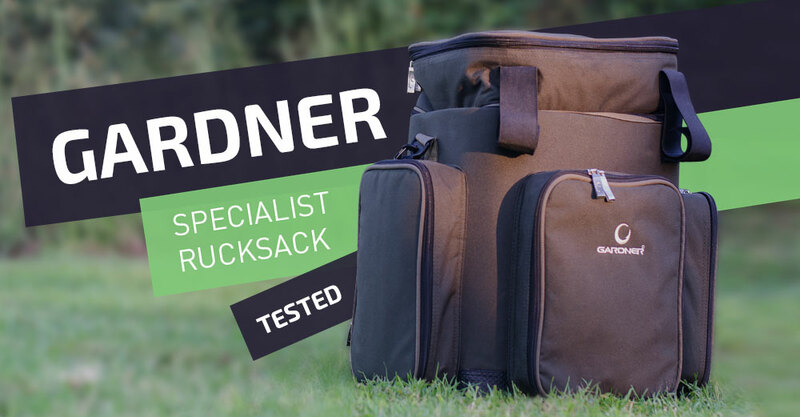 The Gardner Specialist Rucksack scores a whopping 16/20. I might have been a bit generous, but I really love the Gardner Specialist Rucksack.